Our North York Acupuncture service incorporates traditional Chinese medicine as a method of holistic healing to relieve pain, restore balance within the body and prevent multiple diseases. The process of acupuncture involves the insertion of fine needles into one’s body into specific areas that elicit remedial responses. Per Chinese medicine, there are numerous acupuncture points that have been mapped and in current studies, electromagnetic research has proven the existence and benefits of acupuncture points. Acupuncture North York has great benefits to one’s health and wellbeing. How does our North York acupuncture influence the body internally? At our Acupuncture North York center, fine needles are inserted into your body, it stimulates your body to produce natural pain relieving chemicals, which are known to be endorphins. Endorphins are chemicals that help block any paths that communicate pain messages from the body to the brain, resulting in less pain and a sense of relief. In addition, endorphins restore internal organs and their regulation systems as well as their biochemical restoration. When performed by professionally licensed and trained therapists, acupuncture is exceptionally safe and harmless. Professionals who are competent in acupuncture use sterile and disposable needles for each client and therefore, will virtually provide no risk of infections or other problems. The needles used for acupuncture treatments are not thicker than a strand of hair and many of the insertions are typically painless and comfortable. In many cases, clients whom receive acupuncture treatments do not feel any pain. Other cases may include a sense of heaviness, warmth or a tingling feeling once inserted, however, does not provoke any pain. Many clients whom undergo our acupuncture North York services find it very relaxing and most often fall asleep during the treatments. Acupuncture North York determines the severity, problem, duration and the number of treatments needed to help treat and relieve pain. For an acute condition, 1-3 treatments may help and as for chronic pain, 5-10 treatments may help alleviate the pain. The sessions typically last from 20-30 minutes and in more chronic cases, time can vary depending on the condition. To help reduce the number of treatments in addition to promoting a healthier response, the trained professional may request for certain dietary adjustments, exercise care plans and certain practices for relaxation. Our professionals will ensure and explain the nature of your condition and recommend the best solution to help relieve pain. With any service, our professionals here at North York acupuncture will address each benefits, risk and further options that can be available by our clinic or referrals. 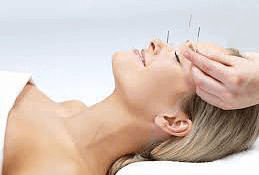 Acupuncture North York services have complete absence of any adverse effects one may experience. Our professionals are experienced, licensed and fully equipped to provide acupuncture procedures. Many of our clients find the treatments to be relaxing and causes very minimal discomfort. The discomfort typically occurs during the first session, as many people are not aware of the treatment processes. However, our professionals will ensure that all clients receiving acupuncture treatments are safe and comfortable during the treatment processes. Women who are in their early pregnancy stage or hemophiliacs should notify our professionals in which treatments will be taken with caution. Some patients may experience a fainting feeling with this treatment and can easily remove the needles to eliminate the reaction. P&C Rehab and Service at North York Acupuncture is dedicated to delivering comprehensive and the most effective acupuncture treatments in addition to offering customized treatment plans for any medical condition. We provide exceptional care and ensure that our clients receive the most optimal and effective treatments possible for their condition. Contact us today at our acupuncture North York center for an assessment by one of our professionals to help you relieve pain!